Tri-Stemmet: What's a Kona slot worth? The entry fee to participate in Kona is $550(R4800). If I add the cost for the airlines, accommodation, stop overs, food etc. to get to Kona from South Africa add another $11 000(R100 000). Now for some spending money and money for unforeseen expenses add another $4 000(R34 000). I don't even want to think of it but you can also add your coaching fees, the money you spend on your equipment and gear. What about the Ironman race where you qualified, do you add those expenses too? Then there is the things which have no monetary value, the 20 hours plus you train per week. Waking up at 4 am every morning to do your workout before you go to work and finishing at 11pm if you have, in my instance the Monday evening 3 hour bike session after work. The 7 hour bike ride on a Saturday and missing those valuable time spend with your wife and children. 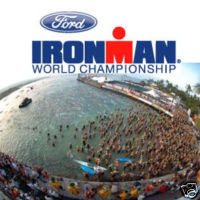 There are so many things you can add to this topic if you want to calculate the amount of money you are going to spend to just get to the start line at Kona, no finish guaranteed. Now let's try $37 300(R317 000). That is what the 4th and last slot on eBay auction went for in the annual charity auction whereby 4 slots get auctioned and you get a ticket to participate in Kona. The third slot sold for $35 100(R299 000). I know it is for charity and I am thank full for people with that kind of money and hearts to give that amount to charity but when I looked at this tonight I could not help but to think if money was not an issue will I pay that to participate in Kona. I guess I don't realize how lucky I am to have qualified to go too Kona, and maybe I can use this as a motivation as lately I just don't have any motivation to train. If someone is prepared to pay R317 000 just to get a slot, never mind all the expenses going with it to get to Kona it must be something special. What do you think, if you had the money will you pay $37 300 to get a slot or will you train your bud off and earn your slot? Wow! I guess I never thought of it like that. I am wondering with all of this in mind is it still worth it to you? J, let me explain my answer a little bit of why I'd prefer to qualify. I did Hawaii in 1988, it was one of the most awesome experiences, and I got in on the lottery. When people hear you've done the Ironman in Hawaii the first thing they think is that you must be good and the first question is "how did you get in". When I answer I got in by "lottery" it takes a little bit away. Essentially I'm saying I got lucky and didn't qualify for the spot. With that said, unless I had unlimited money, or was dying, I wouldn't pay $37 k for a spot to the Ironman. If I did have unlimited $, I'd train full time, heck I'd even pay $200K in coaches, food, etc, etc, to qualify for the Ironman. BTW, are you taking your family to Hawaii with you?